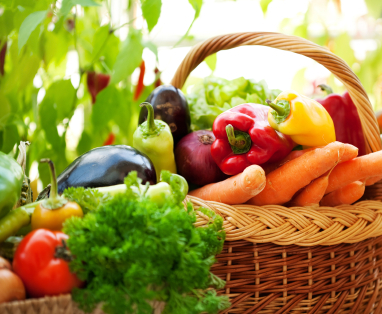 Renew Health Coaching: Is Eating Organic Still Worth It? Is Eating Organic Still Worth It? The media is buzzing with reports that organic may not be worth the money. Researchers at Stanford University announced that organic fruit and vegetables don’t have more vitamins or minerals than conventionally farmed produce and that there are no significant nutritional advantages to organically farmed meat. Does that mean that you should trade in organic foods for the cheaper price tag? In most cases, definitely not. Comparing the nutritional facts of organic vs. conventional products does not get to the heart of the organic question. Even if an organic strawberry isn’t any higher in vitamin C than a non-organic, it is free of pesticides, growth regulators, additives, and other harmful chemicals used in conventional farming. The Stanford study found that pesticide residue on conventional produce was “almost always” under the allowed safety limits, but many experts argue that no amount of pesticide consumption is safe. Pesticides have been identified as contributing factors to conditions ranging from cancer to obesity to ADHD. Pregnant women are encouraged to eat organic because studies reveal pesticides affect a baby’s IQ in utero, and in 2010, President Obama’s Cancer Panel encouraged all consumers to purchase organic produce. As far as the benefits of organic meat go, take the example of arsenic-laced chicken. This conventional poultry may contain the same amount of protein as an organic chicken, but it was unnaturally fattened, artificially pigmented and fed Prozac to alleviate its constant distress. Moreover, organic farming is better for the environment, as it emphasizes renewable resources and sustainable practices that protect waterways, conserve wildlife, promote soil fertility and maintain humane working conditions for fieldhands. Furthermore, organic meat, poultry, eggs and dairy are free of the antibiotics that spawn drug-resistant superbugs, an imminent threat to public health. As a professor of mine, Dr. David Katz once pointed out, this study demonstrates the misconceptions people have long held towards organics. “Organic does not mean ‘nutritious’ and never did,” says Dr. Katz. “Gummy bears – and sugar, for that matter – may be organic, and add nothing but empty calories to your diet.” That is why comparing nutrition facts – such as vitamin and mineral content or calories – between conventional and organic produce is a misleading method of establishing the benefits of organic. The organic label has long been misperceived as a general stamp of health. As the profitability of the organic industry has exploded, there has been a proliferation of highly processed and unwholesome – but organic - junk food. This has been largely enabled by the relaxation of USDA “certified organic” standards, which are compromised by Big Ag interests. So organic cheese puffs aren’t healthy – no surprise there. And perhaps an organic strawberry isn’t any higher in vitamins than a non-organic. But buying organic was never about nutritional content. It is a question of what you want to keep out of your body – namely, pesticides and contaminants – more so than what you want to put in it. The bottom line? Organic produce and meat is still better for you and the environment. But just because it says “organic” doesn’t mean it is a health food.